The innovative renovation of Florida State University’s new entrepreneurship-focused Jim Moran Building has won a prestigious design award recognizing architectural features that nurture learning and imagination. The American Institute of Architects in Florida has presented its Merit Award of Excellence for Renovations and Additions to the project’s architects. The award commended Architects Lewis + Whitlock for transforming the 19th-century building in downtown Tallahassee into a state-of-the-art home for entrepreneurial education. The American Institute of Architects in Florida noted several design elements that enhanced the facility’s form and function. 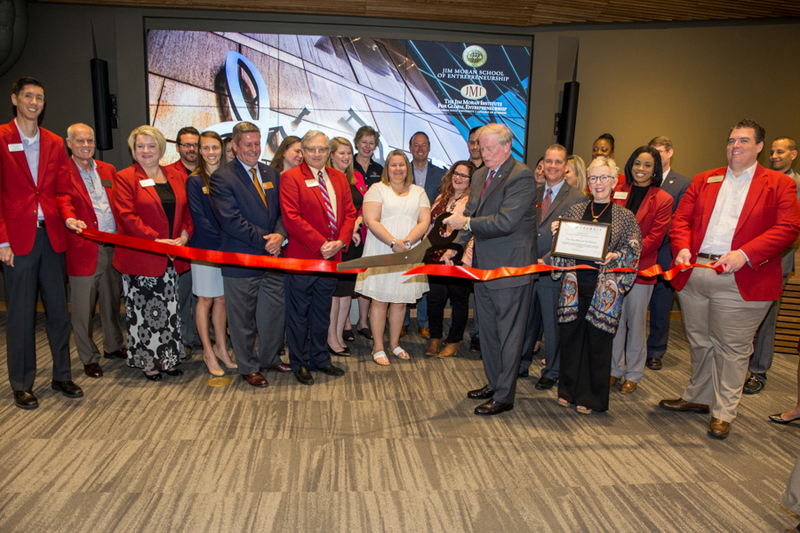 It was designed to operate as an “urban hub,” where students and entrepreneurs could connect with business mentors, faculty members and financial resources. The look and feel of the airy three-story space reflect the enthusiastic spirit and dynamic success of entrepreneur and philanthropist Jim Moran. His career had humble beginnings in Chicago. Moran worked hard and saved his money until he was able to buy a Sinclair gas station for $360 in 1939. He turned the business into the city’s automotive sales leader with a pledge to treat customers right. That positive attitude earned him recognition as “Jim Moran the Courtesy Man,” and it paved the way for a career in the auto industry that spanned more than six decades. 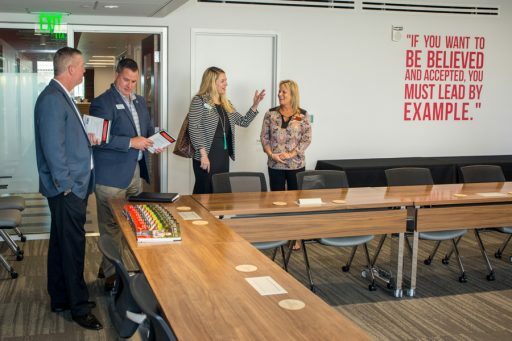 Now, Moran’s inspiring quotes and a timeline of his life story are displayed prominently throughout the 20,000-square-foot Jim Moran Building located near the state Capitol. The design team had three main goals for the facility: connect people in creative ways, inspire future entrepreneurs and promote transparency to align with Moran’s personal business philosophy. 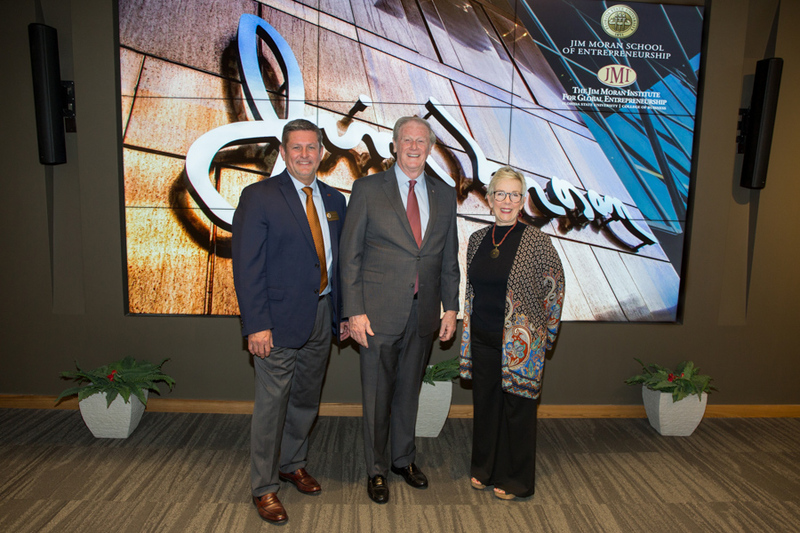 FSU President John Thrasher described the Jim Moran Building as a jewel for the university and a welcoming space that will serve generations of students.